Arnewood shines the spotlight on raising boys’ achievement with a workshop from one of the country’s leading education consultants. THE ARNEWOOD SCHOOL WELCOMED RENOWNED EDUCATION EXPERT GARY WILSON (SECOND FROM RIGHT) TO SPEAK TO TEACHERS AND PARENTS FROM ACROSS THE AREA ON RAISING ACHIEVEMENT IN BOYS. 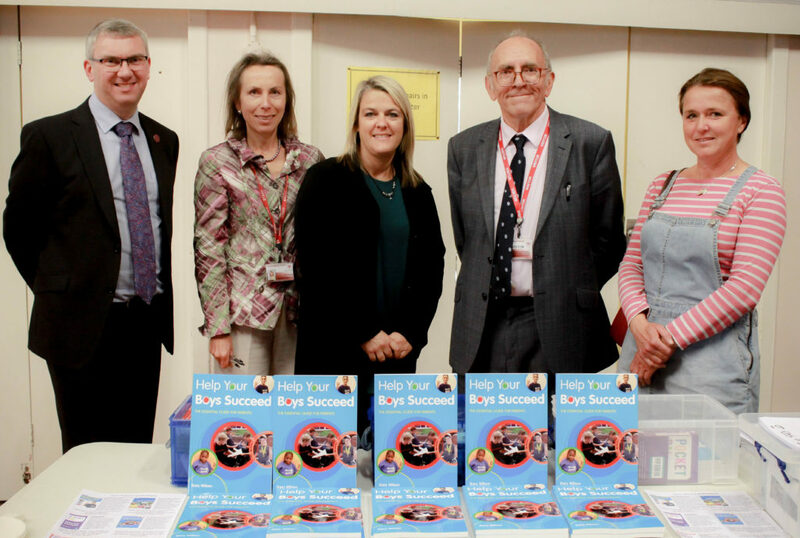 HE IS PICTURED WITH (FROM L TO R) NIGEL PRESSNELL, HEADTEACHER OF THE ARNEWOOD SCHOOL; SABINE STROUD, ASSISTANT HEADTEACHER; AND PARENTS JO ANKERS AND JOANNA SHEPPARD. 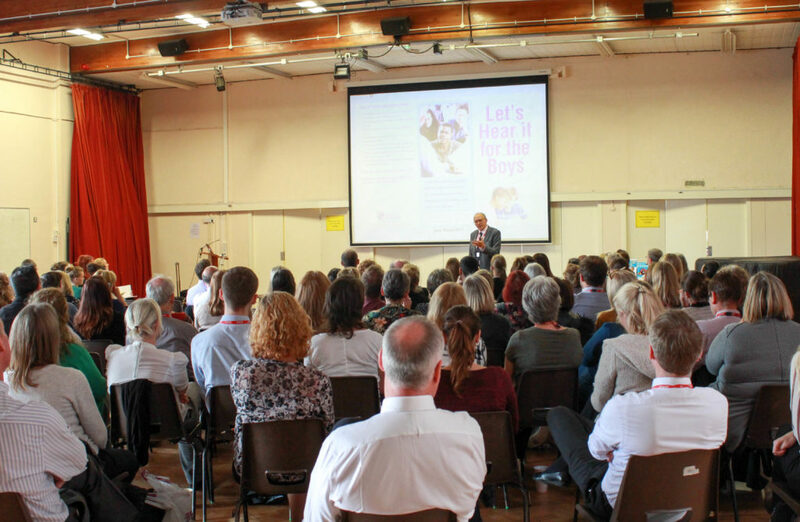 Expert and author Gary Wilson was welcomed to the school earlier this term, where he held a presentation for teachers from across the area and a workshop for parents. At the event Gary explained some of the reasons why boys tend to not perform as well as girls. He then presented strategies that both teachers and parents can use to help support boys’ learning at school and home. Headteacher, Nigel Pressnell, said: “It was a great honour to welcome Gary to our school and also teachers from across the area to hear him. “As a teaching school we are always examining ways to raise achievement and Gary Wilson is renowned for his ideas on helping boost boys’ attainment in particular. One of the country’s leading authorities on raising boys’ achievement, Gary Wilson is a freelance consultant and author of several books including, ‘Raising Boys’ Achievement’ and, for parents, ‘How to Help Your Boy Succeed’. A teacher for twenty-seven years, he began work on raising boys’ achievement in his own cluster of schools in West Yorkshire in 1993. In 2001 he was asked to write ‘Using the National Healthy School Standard to Raise Boys’ Achievement’ for the department for education based on the success of his work in schools. Two years later he was made the country’s first local authority school improvement officer with specific responsibility for raising boys’ achievement. And from 2005-2010 he was chair of the National Education Breakthrough Programme on Raising Boys’ Achievement. Gary Wilson left parents and delegates attending the conference at Arnewood challenging the old adage ‘boys will be boys’.